Has it been a week already? 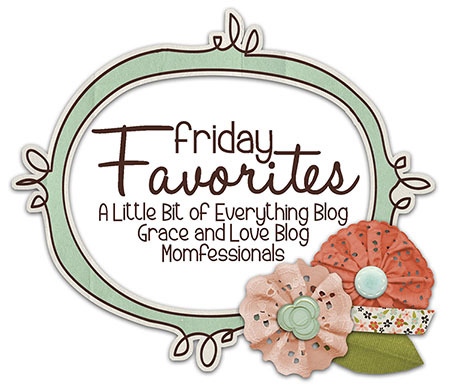 I totally meant to post earlier this week, but I guess I am back to another Friday Favorite already! Erika, Narci & Andrea are the blogs listed in the picture below, check out their fun blogs… I sure love them! After a decent week of sleep during week 34, the insomnia is back for week 35. Ugh!!! Ashton has been sleeping really late, so this makes me extra frustrated that I can’t enjoy that. Wahhhhhh!!! !😭😭😭😭 This morning instead of just laying there in bed, I got up and did some yoga… I’ll get back to you and let you know how that made me feel the rest of the day. So far, it has helped wake up my muscles and bring a little ease into my breathing. Week 34 I had my weekly NST and also an appointment with the nurse. The practice I go to rotates every other visit with my actual doctor and a nurse. I have seen the same nurse a few times, and she is super-nice. Everything sounded, measured, looked great! The baby measured a week ahead, but the nurse said a week or two off isn’t out of the ordinary. I was able to do one prenatal yoga class that week and a couple walks. Less than I would like, but better than nothing. I am trying my hardest to stay active during these remaining weeks. It is really easy to forgo a workout in the cold/dreary weather we have been having. This week I only had my NST, and it was quick & easy since baby girl was having quite the party and hiccups the entire time. They monitor her for at least 20 minutes and need to see enough movement before letting me go. Some weeks it takes longer than 20 minutes, but not this week! Ashton always chose to take naps during the NSTs when I was pregnant with him, so the appointments would draaaaaaagggg on and on. 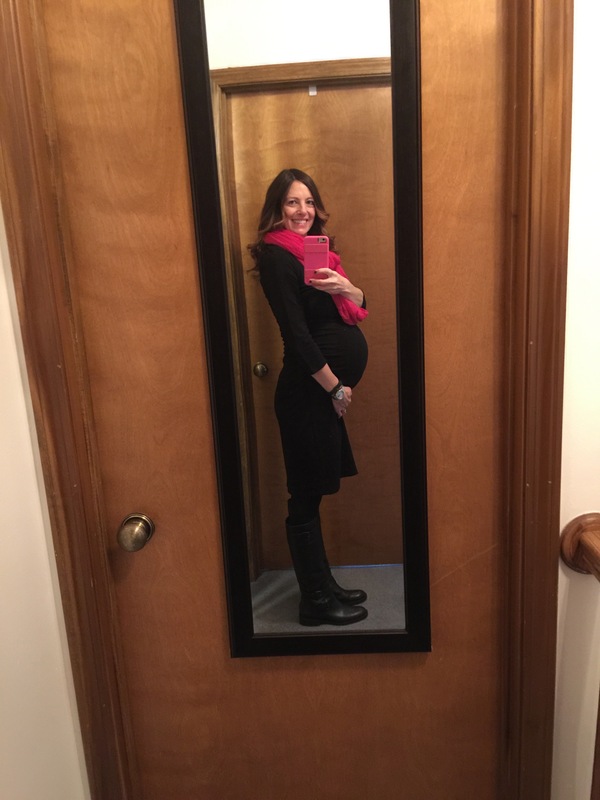 This week, baby girl is about 19-20 inches long and weighs about 5.5 pounds. It’s incredible to think there is a human that size in my body right now. Well it’s hard to believe until evening comes around and I feel every ounce of the weight 🙂 She can really pack a punch (or kick) nowadays! I am sooooo out of breath all the time. I feel like I have had a hard workout just by doing little things. Some days/times are worse than others. This morning was one where even if I sit a bunch I am still worn out. I’m sure it has to do with the amount of sleep I get, but even on days when I have gotten decent sleep I can still feel this way from time to time. I looooove my coat I got on sale to wear for my big belly. 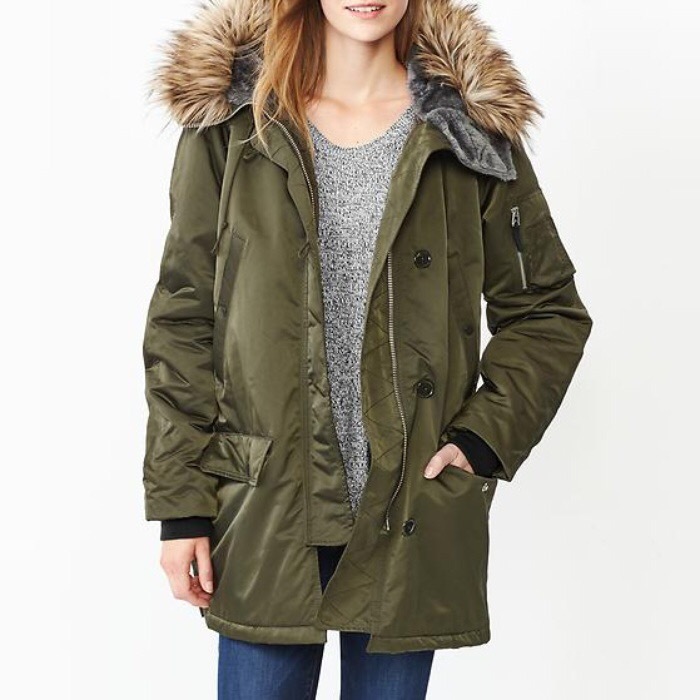 It is a regular oversized coat from Gap, just in a bigger size. 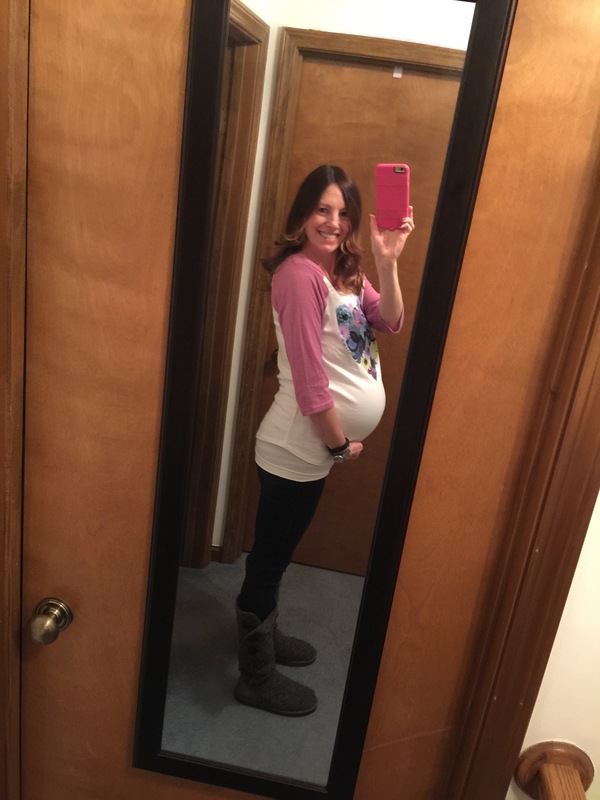 Another favorite this week is this “Love” shirt from Target I am wearing in my 35 week bump pic. 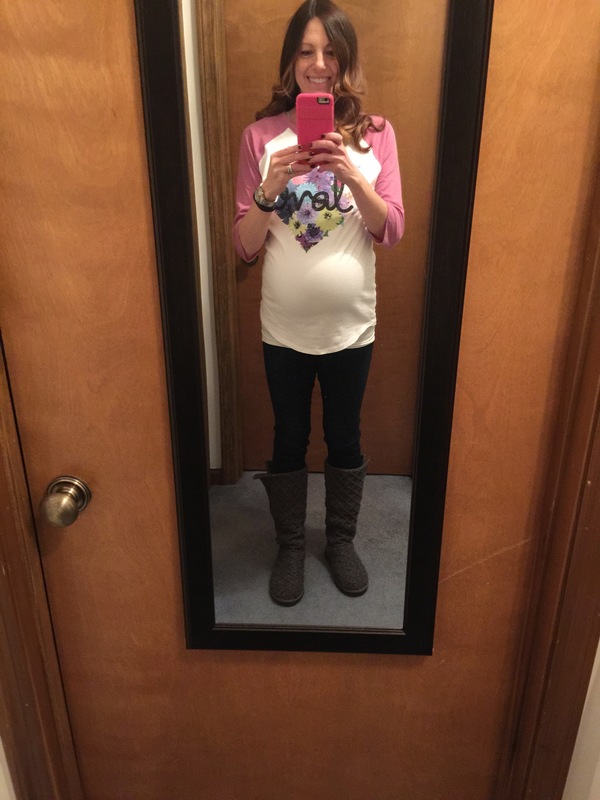 It is a comfy, non-maternity shirt (I think in the junior section) that I love now and I know I will still love and be able to wear after the baby arrives. The colors make me happy, and I may have already worn it more than I should’ve this week! My appetite seems to be dwindling with the baby taking up more space. I find it hard to eat first thing in the morning too. I wouldn’t quite call it nausea, but it’s just a blah feeling. 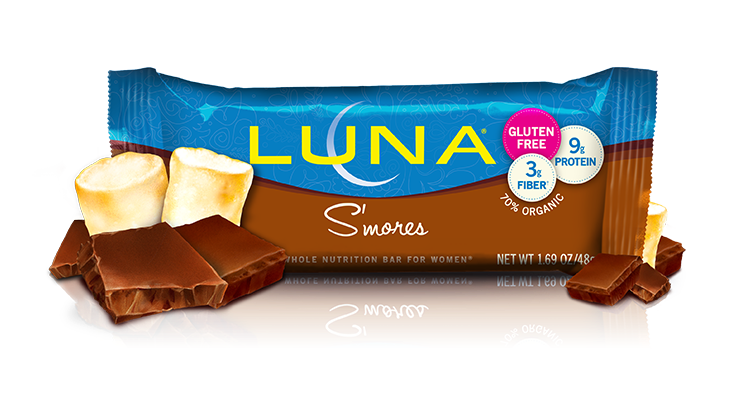 I eat a lot of the gluten-free Luna bars, my favorite flavor right now being S’mores. So, pretty much getting bigger and more tired sums up weeks 34 and 35 🙂 Nothing too exciting. Next week start weekly appointments and cervical checks (oh, fun)! Awww, you’re so sweet! Thanks! You look great…such an exciting time for you and your family!!! Thank you so much for stopping by, I love the linkups!